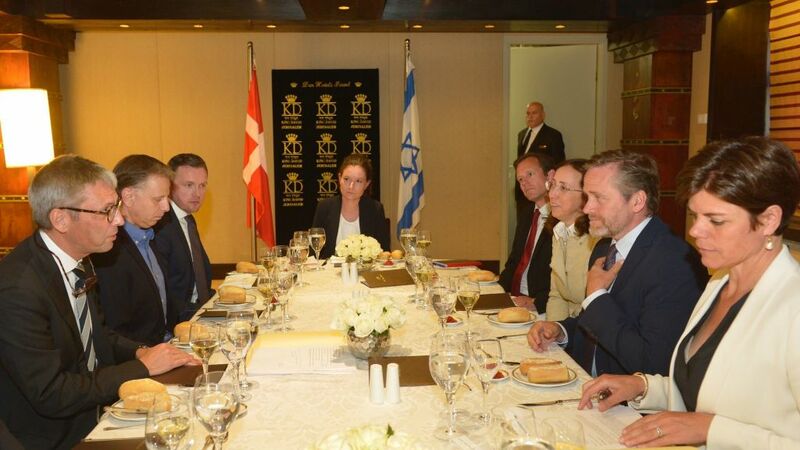 Israel and Denmark could “inspire” each other in all things technology-related, Anders Samuelsen, Denmark’s minister for foreign affairs, who is spearheading innovation in his country, said during a visit this week to Jerusalem. 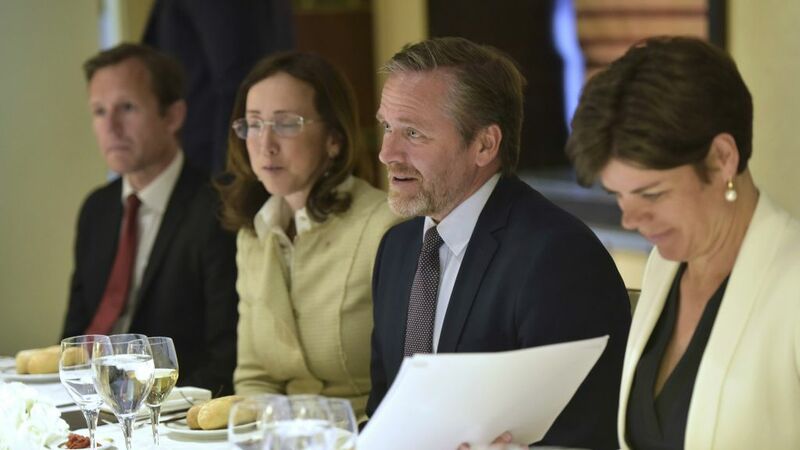 Samuelsen, 49, who has headed the ministry since November, has made digital and technological development in Denmark one of the key strategic priorities for the nation’s foreign policy. He has appointed Denmark’s, and the worlds’, first ever tech ambassador, to be stationed in Silicon Valley, and the country also set up an innovation center in Tel Aviv last year, one of seven the Scandinavian nation has opened globally. 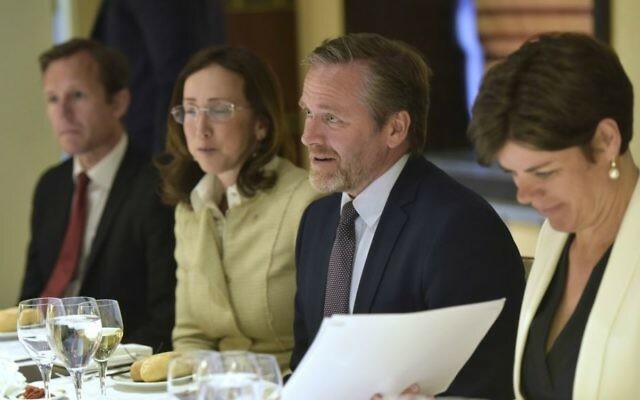 The centers will provide inspiration and ideas of how things are done abroad, and will “make a hub for Danish companies into this environment, to help them make new connections and hopefully we can then inspire each other,” Samuelsen, a member of the centrist Liberal Alliance party, said. Denmark, a country with just over double the territory of Israel but with a population of just 5.6 million citizens compared to over 8 million in Israel, is seeing a boost of startup activity at home. Known for its high-quality research institutions, especially in the areas life sciences and renewable energy, the country has been consecutively ranked among the most innovative in Europe. The Bloomberg Innovation Index ranks the nation eighth on its index, whereas Israel ranked 10th. Denmark was ranked No. 1 on the Transparency International Perception Index in 2016, compared to a ranking of 28 for Israel, according to data provided by the Danish Embassy in Israel. Its happiness rating in the World Happiness Report was, incidentally, number two compared to number 11 for Israel in 2017. In the course of his two-day visit to Israel and the Palestinian Authority, Samuelsen met on Wednesday with President Reuven Rivlin, Defense Minister Avigdor Liberman and Prime Minister Benjamin Netanyahu. He was scheduled to have meetings in Ramallah, including with Palestinian Authority Prime Minister Rami Hamdallah, on Thursday. But alongside politics, he also made time to chat over lunch with members of the Israeli high-tech industry to learn about what makes Israel’s startup ecosystem tick. Denmark is the most digital country among the 28 EU member states according to the Digital Economy and Society Index 2016, its digital public services are highly advanced, and its population is the most e-ready in the EU with 88% of Danish internet users doing e-banking and 82% shopping online. 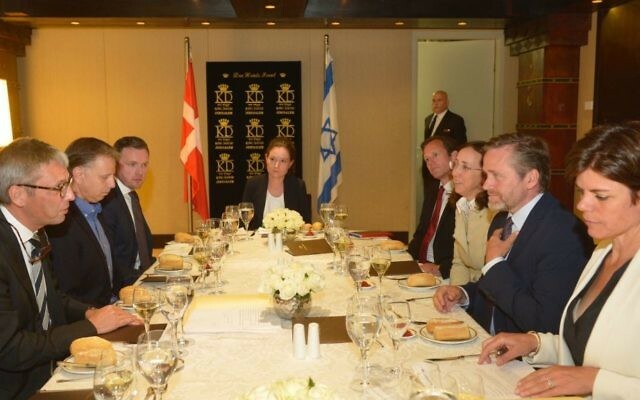 Denmark exported some $221 million worth of goods to Israel in 2016, and Israel exported to Denmark $63 million worth of goods, including machines and electronics, consumer goods, plastics and rubber. Samuelsen has created the role of the tech ambassador because he believes nations today need “TechPlomacy” to work alongside traditional diplomacy. Companies like Google, Apple, Facebook and Alibaba are so big that they shadow the economies of some countries, he said. Strong ties with these tech giants are needed as these firms open doors to new jobs; they collect a lot of data, and they can also help nations in their fight against terror by “taking down accounts as soon as possible,” he said.